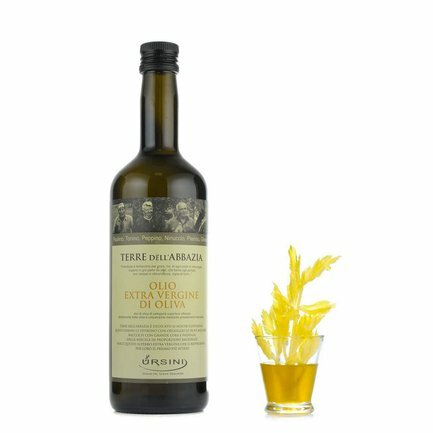 Theextra virgin olive oil Terre dell'Abbazia produced by Urisini is obtained from the Gentile di Chieti, Cucco, Leccino, Crognalegno, Ascolana and Dritta olive varieties. It has a pale green colour and yellow hues. It exudes fine and elegant scents that hint at mature tomato, vanilla and green banana. 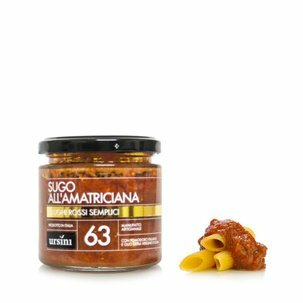 The taste is slightly fruity with herbs and mainly sweet to which is added a light touch of balsamic vinegar. The absence of any bitter or spicy notes makes it an ideal accompaniment in all types of cooking. Best with raw or boiled foods, it adds an interesting touch when dressing a caprese salad or cooked vegetables or even for making an oil dip. The Terre dell'Abbazia oil is amongst the best extra virgin olive oils for baking. Ingredients Superior category extra virgin olive oil obtained directly from olives with exclusively mechanical processes For more information on product labels, please contact our Customer Service department. The information on the labels of the products may vary for reasons beyond our control, therefore, there may be discrepancies between the information on the site and that on the products delivered. Please always check the information on the product before consumption or use. For the Ursini family, paying attention to the original ingredients is of most importance. This is why the family chooses healthy olives, matured just right, harvested by hand and pressed the same day. Only in this way can a high quality oil be produced and savoured for its excellent qualities. The company also distinguishes itself in its production of single olive varieties as it believes that this is the key to obtaining excellence. A continuous search for perfection in the service of more attentive consumers!